Photography is one of the most popular hobby and passion. I am too fond of photography and DSLR is one of the best photography tools in the world. There are many remote controllers for DSLR which extends its functionality much but they are very expensive. Thus today I came up with an another amazing alternative through which you can not only click the photo but also change the settings of your DLSR camera using your lovely Android Phone. Controlling DLSR camera using your android phone seems bit new and unique idea but its worthy to give it a try. So lets start the tutorial. In this guide we will be using a rooted android as it is necessary that your android smartphone is rooted. If not you can follow us for rooting guides. Here we will be using an amazing app called – DSLR Controller developed by chainfire which is famous for SuperSU app. 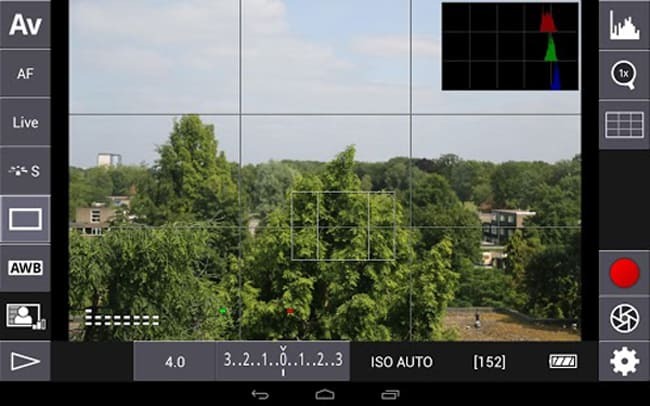 This app creates same DSLR interface in your android device as shown in image through which you can control your camera easily. You can also have live footage so that it will be helpful for monitoring your camera for position as well as other photography stuff. Thus this app can be useful in many situations from photographer perspective though sometimes it depends on the photographer how to use this. Below are the short and sweet steps to control your DSLR completely from your android device from clicking the picture to changing almost every settings in the camera remotely. After successfully installing the DSLR Controller app in your device,connect it with your DSLR camera using USB cable. Now Open that application in your android device and you will observe the similar interface where you can change almost every type of settings which you can also do in DSLR camera as well as you can click the photographs remotely. Another amazing thing is you can watch live feed from the android app. Below I have included official video from the app developer for better understanding. So this was the short guide to controlling DSLR camera using your android smartphone which is very easy just using an android app. But make sure your android device is rooted one. If not you can contact us for help or stay tuned with us for further rooting as well as other android tricks and apps updates. One more thing is this app is in beta version so it does not support every DSLR camera so if it doesn’t support yours then don’t get upset. Soon we will have stable version. I hope you understood how to control your DSLR camera using android. Feel free to comment below or contact us for any kind of help.